Abbott Fund Institute of Nutrition Science (AFINS) was established in China in 2007 by Abbott in partnership with Project HOPE and Shanghai Children's Medical Center, to address gaps in Pediatric clinical nutrition. In 2010, AFINS in Vietnam was inaugurated in partnership with Boston University, Bach Mai Hospital, the National Institute of Nutrition and Hanoi Medical University. AFINS is just one part of the Abbott Fund's broader outreach efforts to strengthen nutritional science, testing and practices in developing nations. In 2010, AFINS in Vietnam was inaugurated in partnership with Boston University, Bach Mai Hospital, the National Institute of Nutrition and Hanoi Medical University. AFINS is the first program of its kind in Vietnam to advance clinical nutrition in such a comprehensive way: through training, integrating better practices into hospital patient care, developing a specialty track in clinical nutrition among nurses resulting in a new academic degree and new jobs; and conducting research to identify best practices in nutrition medicine adapted to the Vietnamese context. These areas align with the Ministry of Health's broader goals to improve nutrition care across the country. In both China and Vietnam, AFINS is focused on extensive training of physicians, nurses and dietitians and the integration of nutrition training into local medical school curricula, plus development of standardized nutritional guidelines. The Abbott Fund Institute of Nutrition Science leverages relationships with 25 hospitals in 17 provinces across China to train health care professionals and improve nutrition support. AFINS is just one part of the Abbott Fund's broader outreach efforts to strengthen nutritional science, testing and practices in developing nations. Founded in 1958, Project HOPE (Health Opportunities for People Everywhere) is dedicated to providing lasting solutions to health problems with the mission of helping people to help themselves. Identifiable to many by the SS HOPE, the world’s first peacetime hospital ship, Project HOPE now provides medical training and health education, as well as conducts humanitarian assistance programs in more than 35 countries. Over the past five decades, Project HOPE has demonstrated its ability to develop and permanently institute long-term solutions to pressing health problems, the true essence of helping people help themselves. Project HOPE remains as committed as ever to addressing the world’s new health threats by playing a leadership role forging new alliances among those on the frontlines of health and together seek new solutions. Since 1958, Project HOPE has worked to make health care available for people around the globe. They are committed to long-term sustainable health care. The work includes educating health professionals and community health workers, strengthening health facilities, fighting diseases such as TB, HIV/AIDS and diabetes and providing humanitarian assistance through donated medicines, medical supplies and volunteer medical help. Project HOPE helps train the staff necessary to operate hospitals, clinics and community health programs in the poorest regions of the world. Programs range from the training of community health promoters in areas such as primary care, reproductive health, and maternal and children’s health, to the establishment of highly specialized, tertiary care postgraduate medical programs in fields such as nursing and health professional continuing education. The mission of Project HOPE’s Humanitarian Assistance program is twofold; provide emergency assistance where disasters strike and strengthen the educational programs and facilities with medicines and medical products. While Project HOPE is not always among the first organizations to bring medical products into an area affected by a natural or man-made disaster, the strategy is to provide long-term access to vital medicines and supplies, even after the attention of the outside world has moved on to other issues. Project HOPE was founded on the willingness of doctors, nurses and other medical volunteers to travel the globe on a floating hospital ship - the SS HOPE- to provide medical care, health education and humanitarian assistance to people in need. While they now operate land-based programs in more than 35 countries, Project HOPE, in a unique partnership with the U.S. Navy, has again returned to sending medical volunteers on board ships around the world to provide medical assistance, health education programs, vaccinations and humanitarian assistance. Project HOPE has helped to build, support and train the staff necessary to operate hospitals and clinics, especially those targeted to the needs of children. These facilities provide a unique vehicle through which training resources can be focused thus making the maximum contribution to the improvement of the health of children in developing nations. These facilities can also serve as national training centers to train physicians, nurses, administrators, and allied health professionals from across their respective countries or regions. Health Affairs, the leading journal of health policy thought and research, is published by Project HOPE. The peer-reviewed journal appears bimonthly in print with additional weekly online Web Exclusive articles. Published since 1981, The Washington Post, has called Health Affairs the bible of health policy. Project HOPE’s successful implementation of health education and humanitarian assistance programs have been highlighted in journal articles, applied in case studies, presented at international global health conferences and developed into posters and other materials that demonstrate the program results. 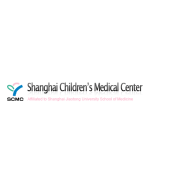 Shanghai Children’s Medical Center (SCMC) affiliated to Shanghai Jiaotong University School of Medicine is located on Dongfang Road, Shanghai Pudong New Area， is a tertiary Pediatric Hospital integrated with medical care, scientific research and education. Covering an area of 17 acres, the hospital has a capacity of 500 designated medical beds. SCMC was jointly established by Shanghai Municipal People's Government and Project HOPE. Xin Hua Hospital was responsible for the overall preparation and construction of the project. As the symbolized project of Shanghai’s social development during the period of the“ Ninth Five Year Plan ”, Shanghai’s key construction project, one of the 10 great deeds implemented by Shanghai Municipality and Project Hope’s largest collaborative program in the world. The establishment of Shanghai Children’s Medical Center symbolizes the ancient origin and long developed friendship between the people of China and USA.With the concern and support of people from all walks of life and efforts of all staffs, SCMC has become a general children’s hospital based in Shanghai Pudong. SCMC serves Shanghai, radiates to the whole country, and marches with the whole world. Sparing no effort to develop itself, SCMC always attaches importance to the development in pediatrics in remote rural areas. Through a variety of training programs, it helps them realize the relay of medical professionals and technology. Aiming at the reduction the mortality of newborns in the areas , the Neonatal Care Program has been established. It has built up NICU in 12 hospitals in the provinces of Zhejiang, Xinjiang, Sichuan and Inner Mongolia and donated to them medical equipment and trained their medical workers since 2000. It has got good social returns with the program. SCMC has friends all over the world. The center regularly receives high ranking officials from foreign governments and world renowned individuals to visit the hospital. Their visits have been of great benefit to the hospital in the improvement of its medical care, research and administration. With the care and support of people from all walks of life, SCMC is growing up with health and vigor like a child. SCMC will provide the public medical care with quality service and pay back the society for their graces of fosterage. Boston University (most commonly referred to as BU or otherwise known as Boston U.) is a private research university located in Boston, Massachusetts. The university is nonsectarian, but is historically affiliated with the United Methodist Church. The university has more than 3,800 faculty members and 33,000 students, and is one of Boston's largest employers. It offers bachelor's degrees, master's degrees, and doctorates, and medical, dental, business, and law degrees through eighteen schools and colleges on two urban campuses. The main campus is situated along the Charles River in Boston's Fenway-Kenmore and Allston neighborhoods, while the Boston University Medical Campus is in Boston's South End neighborhood. BU also operates 75 study abroad programs in more than 33 cities in over twenty countries and has internship opportunities in ten different countries (including the United States). BU is categorized as an RU/VH Research University (very high research activity) in the Carnegie Classification of Institutions of Higher Education. BU is a member of the Boston Consortium for Higher Education and the Association of American Universities. 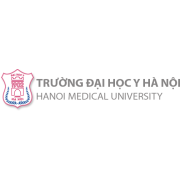 Hanoi Medical University, one of the leading universities in Vietnam with a history of more than one hundred years, strives continuously to improve human health by reaching excellence in health worker training, in science and technology, and in providing senior experts for the health sector. Tradition: Lecturers, staff, students, and learners take pride in Hanoi Medical University and are responsible for the promotion of its traditions. Function: Lecturers are honored to serve as role models through the fulfillment of two noble functions highly regarded by society: Teacher and Physician. Professionalism: The staff is proud to contribute to the training of exemplary and talented health professionals, to scientific research, to technology transfer and to the care of our people's health. Inspiration: To study and train at a renowned medical university is the inspiration for students to strive continuously for excellence and realize their potential for long-term and sustainable development. Honored and proud to be working and studying at Hanoi Medical University, generations of teachers, students and employees have contributed to improving the University's role as recognized by the Party, the State and the People. Founded in 1911, the once small Cong Vong Contagious Hospital has developed over its 100 year history. Bach Mai Hospital (BMH) has now become a leading comprehensive general hospital with spacious facilities, synchronized modern equipment and qualified staffs, who are comprised of professors, PhD holders, doctors, physicians, pharmacists, technicians, nurses, midwives, and others. Their fantastic staff and facilities enable BMH to fulfill every task assigned by the Ministry of Health, such as providing medical services at the highest level of the Vietnamese healthcare system, training, scientific research, guiding lower level hospitals, disease prevention, international cooperation and health-economic management. BMH has 1900 beds with 2 institutes, 8 centers, 21 clinical departments, 6 paraclinical departments, 9 functional departments, 1 nursing school and 3 others units. o Continuing training for all medical staff, especially in the North. o Rotation training for post-graduates of Medical Universities and Nursing Schools, newly graduated students, newly recruited doctors. Bach Mai hospital has held hundreds of training courses, allowing thousands of trainees in lower level hospitals to learn the techniques used in many specialties at BMH. o A Journal “Clinical Medicine” is published every month. o A scientific conference is held every 2 years and a scientific seminar is held every month. o Each year, BMH successfully holds several scientific conferences and workshops many of which are international ones. Along with the activities of developing the hospital, BMH assists 31 provinces in professional field through training and technique transfer. o DOHA activities have been widely implemented in almost all provinces in the North. From 2000 to 2010, BMH has held 1081 training courses with 44,691 trainees and dispatched 5,385 turns of staff to support lower-level hospitals. o BMH has been implementing Project 1816 in which higher level professionals are rotated to lower levels to support them in increasing the quality of health care. o BMH has also been implementing The satellite hospital project in prioritized professional and management fields such as intensive care, internal medicine, laboratory testing, hospital infection control, infectious diseases, information technologies, online networks, health education, health promotion and hospital management. o BMH received and successfully treated patients with SARS, which contributed to the control of SARS epidemic with no patients died of SARS and made Vietnam one of the first countries in the world to prevent and successfully control the SARS global epidemic. o BMH succeeded in controlling many epidemics including Avian flu H5N1, A-H1N1, cholera epidemics, dengue fever and other infection epidemics. o Hundreds of Bach Mai Hospital staff members were trained in Japan, America, Taiwan, Korea… and other overseas destinations. BMH has pioneered in health economic management with many creative methods: Publicizing hospital fees and expenditures on medication for patients; Applying information technologies on hospital management; Centralizing management of equipment and accessories; Implementing labor management, patient record management in order to economize budgeting and prevent financial waste. Through-out its 100 year history of development, BMH has become a prestigious leading hospital, not just for its patients but for the entire country. BMH has had the honor of awarding many noble appellations: The First-class Resistance War Order, The First-class Labor Order, The First-class Independence Order, Ho Chi Minh Order, Appellation of Hero of People’s Armed Force and Appellation of Labor Hero in Renovation. o develop BMH into a specialized comprehensive general hospital which is on par with more developing and developed countries in the region. o Refining the management structure and organization, further attracting and recruiting highly-qualified personnel in commensurate with the scale and position of a premium general hospital. While also reinforcing domestic and international training with the goal of attaining multi-faceted knowledge and skills for the personnel, particularly emphasizing team-training for prioritized specialties. This will build a highly professional staff team and create an appropriate corporate culture. o Developing present Centers and Institutes of the Hospital. Upgrading some departments into Centers and developing centers into higher quality centers. o Increasing activities in scientific research - spending priority on research which will help apply modern medical practice into medical services for patients, and research in collaboration with international partners. o Being proactive in working with epidemic control and prevention. o Increasing activities which assist lower level hospitals, in order to enhance diagnostic abilities and treatment for the patients, and to limit the number of patients moving to higher level hospitals which helps prevent overloading central hospitals. o Enhancing the management of health economics, thrifty practice and improving the quality of living for staff. o BMH has been building and developing a high tech and International medical center with 21 floors and 500 new beds in order to make BMH become a hospital with 3,500 beds for inpatients in 2020. 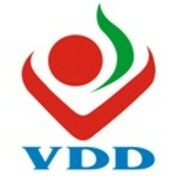 The National Institute of Nutrition (NIN) under Ministry of Health was established in 1980 by the Government of Vietnam. The NIN is the leading institution responsible for research, training and implementation activities in the field of nutrition, food sciences and clinical nutrition for the whole country of Viet Nam. Research on nutritional requirements and dietary intake of Vietnamese people in relation to physiological status and socio-economic conditions of the country. Food and nutrition surveillance, nutritional epidemiology studies and other nutrition-related health problems. Research on nutritive values and health aspects of Vietnamese foods. Research on the measures for improving nutritional status, food hygiene and food safety condition. Developing the food- based dietary guidelines for Vietnamese people. Coordinating the nutrition network for the whole country and implementing the different nutrition action programs. Assisting the Government in developing the nutrition policy. The Abbott Fund was established by Abbott, a global health care company, in 1951, as a philanthropic foundation based in Illinois, United States. The Abbott Fund’s vision is to create healthier communities worldwide. They invest in ideas that promote science and medical innovation, expand access to health care and strengthen communities around the globe. In partnership with others, they strive to make a lasting impact on people’s lives and encourage others to take positive action. Their partners encompass the best in humanitarian organizations, and the results are compelling. Abbott and the Abbott Fund welcome the opportunity to change lives. Building healthier communities is central to what they do. By partnering with others, they develop and foster a wide range of programs that make a lasting difference in the lives of people and strengthen communities all over the world. Building healthier communities is central to what they do. They invest in ideas that promote science, expand access to health care and strengthen communities worldwide – from training midwives in Afghanistan to addressing nutritional needs of children in Haiti. By partnering with others, they develop and foster a wide range of programs that make a lasting difference in the lives of people and strengthen communities all over the world. They view philanthropy as a powerful source for social innovation. Their philanthropy provides an opportunity to test new thinking, develop leaders, strengthen civic and social organizations and build partnerships between the public and private sectors to solve global problems. Much of their philanthropy aims at improving health care services for the poor, the marginalized and the underserved. They apply three principles that are fundamental to thoughtful and effective philanthropy. First, they explore the needs of the people they seek to assist, listening and asking questions so that they understand the challenges and are able to propose possible solutions. Second, they recognize that they cannot do this work alone; they must partner with other organizations whose skills and contributions complement their strengths and expertise. Third, good philanthropy requires them to measure their impact and share what they have learned with others. Since 2000, the Abbott Fund has invested $337 million in programs around the world, including $38.7 million in 2011. Their programs range from building health systems in Tanzania and reducing the numbers of premature infant deaths in Kosovo, to improving health services for uninsured Americans and advancing science education in countries around the world. Access to health care is a serious challenge around the world, with many people unable to receive proper medical care or visit a nearby medical facility. The Abbott Fund seeks to address this issue by designing, partnering on and implementing innovative programs to expand access to health care services for the world’s most disadvantaged populations, by training doctors, building facilities in underserved areas or engaging in other locally appropriate initiatives. Healthy communities possess vibrant and diverse institutions that serve the public good. These institutions range from health and human welfare agencies such as food banks, homeless shelters and health clinics to museums, libraries and universities. The Abbott Fund supports creative programs that address unmet needs of local communities. When natural disasters and emergencies strike communities, the Abbott Fund responds with grants to trusted humanitarian relief partners. Grants are directed to both immediate needs and longer-term reconstruction and rehabilitation efforts.